We know that #StudentVoice is magic, so we conjured up the all new Flipgrid to help you on your quest to empower and amplify! It's chock-full of enchanting updates, so let's jump right in! The heart of Flipgrid is the camera. After all, that's what your students use to capture and share their ideas, reflections, projects, creations, environments, experiments, imaginations... their voice! So we gave it super powers. âž• Add More! When you Trim the beginning or end of your video, you'll unlock additional recording time. ðŸ“º Capture it all! 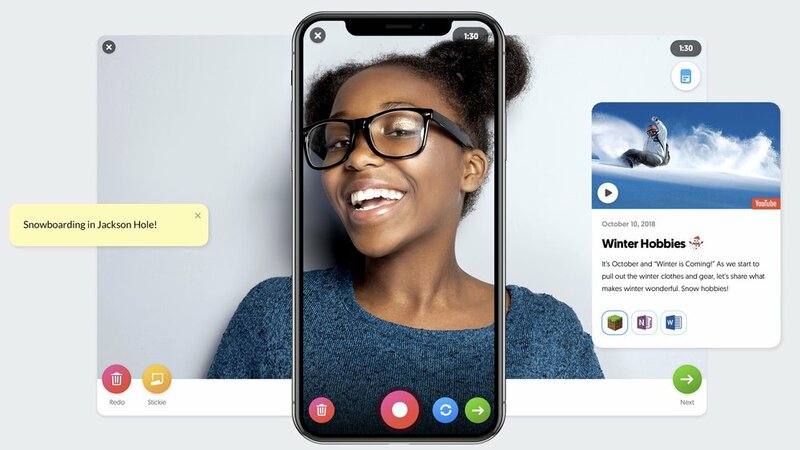 Flipgrid videos are now optimized for every device, with 16x9 (desktop), square, or 9x16 (full-screen mobile)! Better yet - if your device has two cameras, use them both by live-flipping between the front and back! ðŸ‘€ MyView! Sometimes students record horizontally. Sometimes students record vertically. Sometimes students record horizontally and vertically all in one video. MyView magically moves the Flipgrid video player to match your students' creativity! ðŸ“¸ Supercharged Selfies! Retake your selfie without losing your stickers and drawings (perfectly align your face with those aviators)! Amplify ðŸ“£ and protect ðŸ’ª #StudentVoice with the Grid Launchpad! Now that Flipgrid is 100% free for every educator on the planet, there is no limit to the communities you can amplify! And our new Grid Launchpad makes empowering your learners in a safe environment easier than ever. ðŸ�« My Classroom or School: Connect students with your school email domain. ðŸ“� Student ID List: Perfect for younger learners, create or upload a student list and assign unique ID numbers. BONUS: download and print out QR codes for each student to simply access the Grid using their camera! ðŸ“£ Public + PLN: open your Grid to the world wide web of inspirational peers! The new Grid Launchpad has another benefit: No more filling in your First Name, Last Name, and Email when submitting a Flipgrid video! Just share your voice, snap your selfie, and submit! 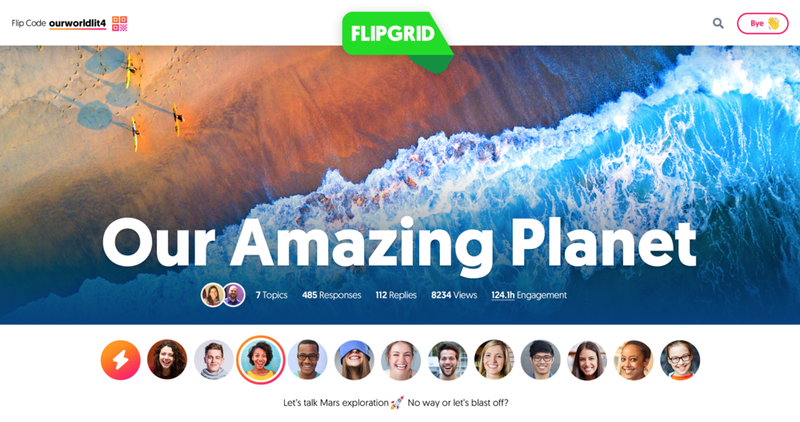 Educators have been using Flipgrid to flatten the walls of their classroom for years. At first they had to leverage their PLN for connections. Then Bonnie McClelland created the world's nicest form and connected over 1,500 classrooms as #GridPals became a movement. Now, it's as easy as filling out your Flipgrid Profile, activating GridPals, and making a connection! Colorful, powerful, and emoji-ful ðŸ˜Ž Grids + Topics! We updated Grids and Topics to create the perfect space for your students to share their brilliance! 5ï¸�âƒ£ Resources! Amp up #StudentVoice with a dash of choice. Now you can add up to FIVE resources to every Topic discussion! ðŸŒŸ Topic Tips! Provide your students with guidance (or a simple confidence booster!) before they share their voice! ðŸš¨ Vibes! Celebrate your studentsâ€™ with custom messages, visible for all to see at the top of their video. The adventure continues, for this is a tale of student empowerment! Stay on the lookout for Guest Lists, Mixtapes, and more this fall! We all know that it is the wizard, not the wand, that makes magic. With all these exciting new updates, the best way to learn and grow hasn't changed: log into your Educator Dashboard and explore! Hit us up any time via Twitter (#FlipgridFever) or email (hello@flipgrid.com)! Our whole team - including our newest additions to the Educator Innovation Team, Jess Boyce and Ann Kozma - are here to serve you on your epic journey!